A post mortem brain is a white, fatty, opaque, three-pound mass. 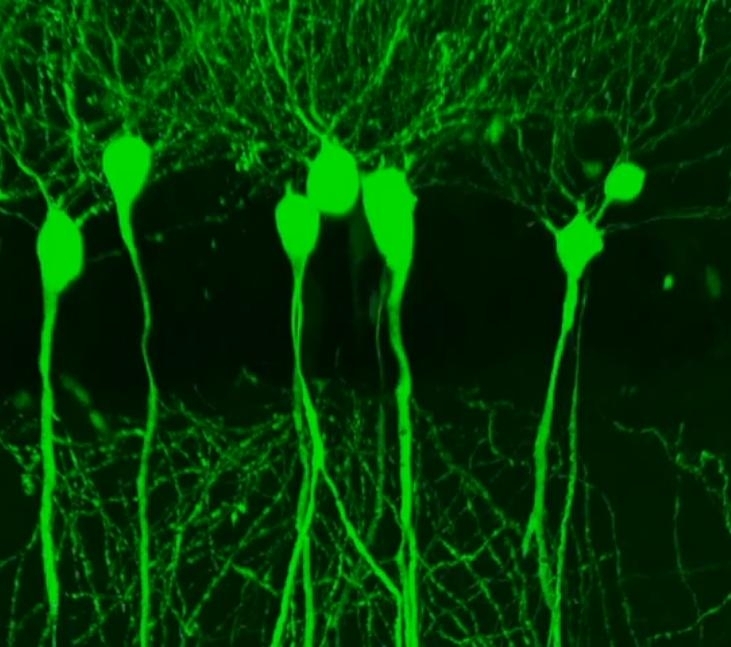 Traditionally scientists have looked inside it by cutting the brain into thin slices, but the relationships and connections of the tens of billions of neurons are then almost impossible to reconstruct. What if we could strip away the fat and study the details of the wiring and the location of specific proteins, in three dimensions? An NIH funded team at Stanford University has done just that, developing a breakthrough method for unmasking the brain. Using a chemical cocktail, they infuse the brain with a hydrogel that locks in the brain’s form and structure in a type of matrix. Then the fatty layer that coats each nerve cell is stripped away, leaving a transparent brain (check out the transparent mouse brain below). The hydrogel prevents the brain from disintegrating into a puddle once the fat is gone. 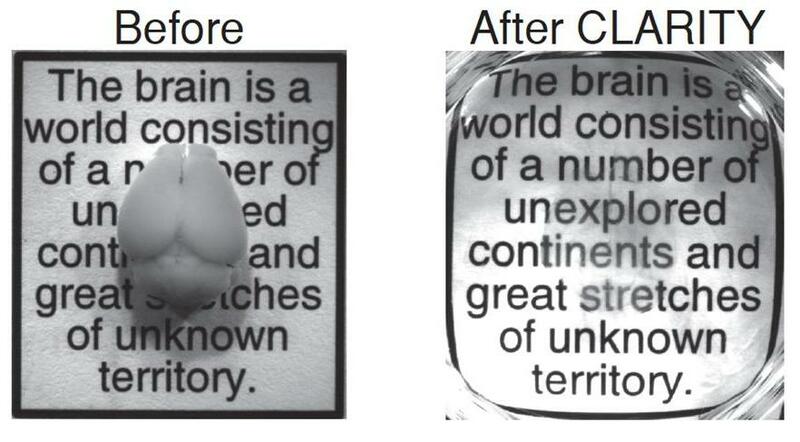 Caption: CLARITY transforms a mouse brain at left into a transparent but still intact brain at right. Shown superimposed over a quote from the great Spanish neuroanatomist Ramon y Cajal. The new technique, cleverly but mind-bendingly named Clear Lipid-exchanged Anatomically Rigid Imaging/immunostaining-compatible Tissue Hydrogel─or CLARITY─will undoubtedly advance the BRAIN Initiative that President Obama announced just last week at the White House . In fact, Karl Deisseroth, leader of the CLARITY project, was in the East Room that morning, and has been chosen as a member of the NIH BRAIN working group. Using CLARITY, the authors follow an individual neuron as its snakes through the brain of an autistic individual. They’ve stained the transparent brain in multicolored fluorescent hues to highlight the activity of individual genes, cells, neurotransmitters, and proteins. Caption: This is the hippocampus, a structure important for learning, memory, and emotion. CLARIFied but still fully intact. In another extraordinary technical feat, they’ve imaged the transparent mouse brain with a light microscope, revealing a forest of neurons that glow like bioluminescent trees (below). 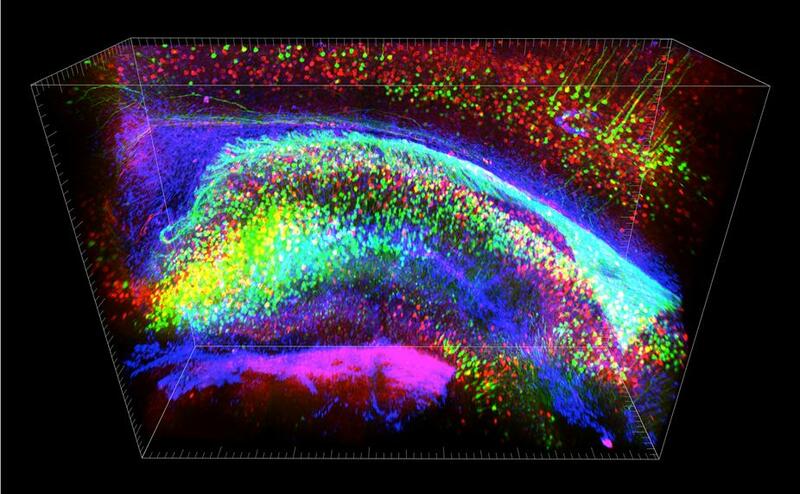 Caption: A yellow fluorescent protein reveals mostly projection (Thy1) neurons in an entire intact mouse brain. CLARITY is powerful. It will enable researchers to study neurological diseases and disorders, focusing on diseased or damaged structures without losing a global perspective. That’s something we’ve never before been able to do in three dimensions. Is it accurate to say hydrogel monomers are introduced to the tissue, cross-linked with biomolecules (except lipids), and then thermally polymerized into a matrix, which will maintain spacial information when unbound material (lipids) are removed? I can see how the removal of tightly packed lipids allow photos to penetrate deeper into the tissue allowing for the insane images shown, but isn’t the imaging depth still somewhat limited by the ‘piles’ of molecules that remain or is there enough empty space to see to the center of an organ such as the brain? I guess I didn’t expect the fatless brain to be as transparent as the photo above. It will lead to a new research in neurodegenerative disorders. In my country, there are no such studies, but I’d love to know more about this new research. Can you point me to how I can keep track of this research?